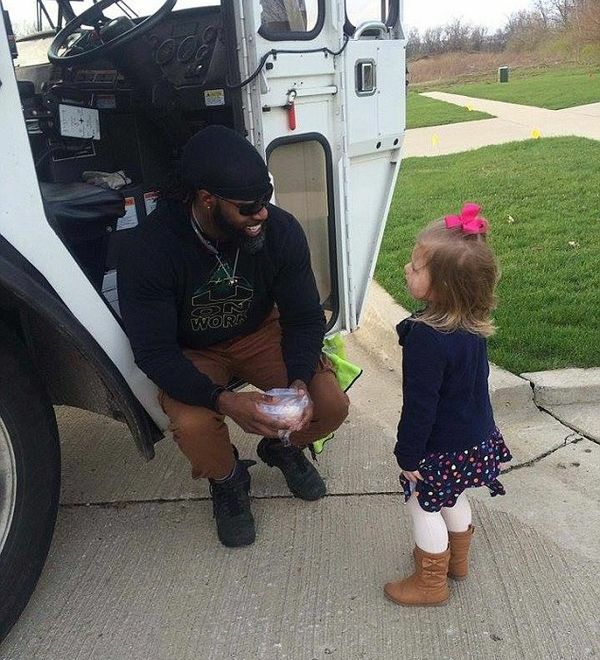 Brooklyn Andracke is a little girl who has a fascination with her garbage man. 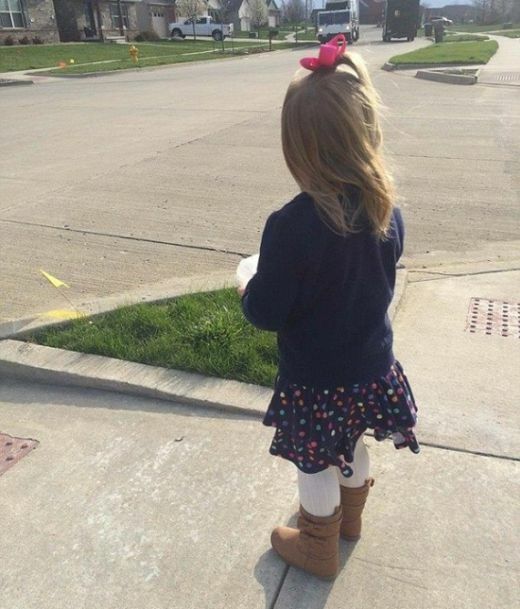 Brooklyn's mother says that for the past year Brooklyn has been anxiously awaiting the arrival of the garbage truck at their Illinois home. 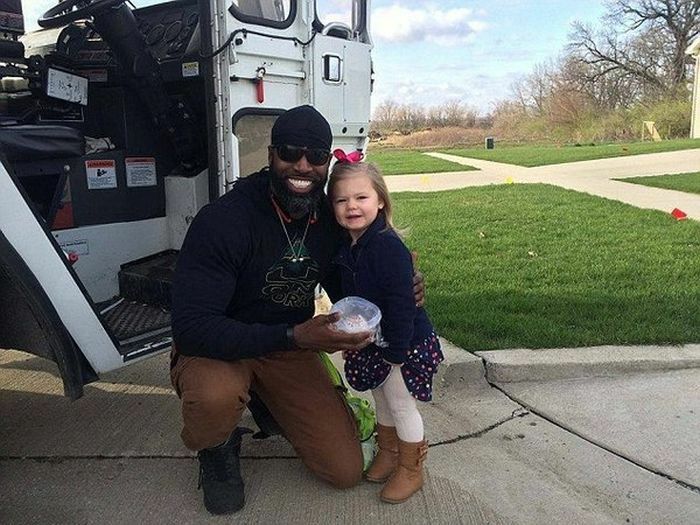 This year her birthday fell on the same day as trash day and she was able to wave the garbage man down and give him a cupcake. That must have really made his day.